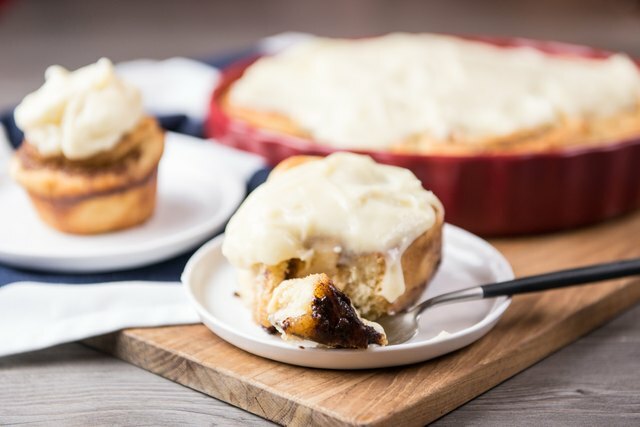 There is just something about the gooey, soft, deliciousness of a Cinnabon cinnamon roll that makes it almost impossible to visit a mall or airport anywhere in North America without a nagging temptation to eat one of their perfect cinnamon rolls right there on the spot. 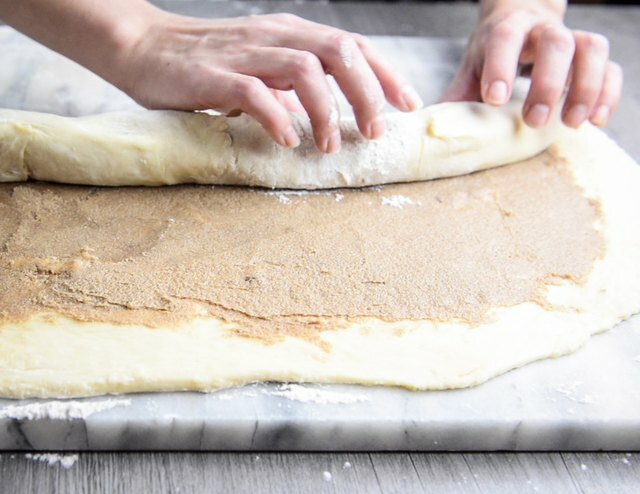 This recipe is as close as I've ever come to the real thing: soft center, perfect cream cheese frosting and a thick ribbon of cinnamon sugar swirl. The ideal recipe to make on Christmas morning, or for a Sunday brunch. Heat the milk to 110°F (check the packet of yeast you are using to insure that this is the temperature your yeast needs, always default to the temperature listed on the package). 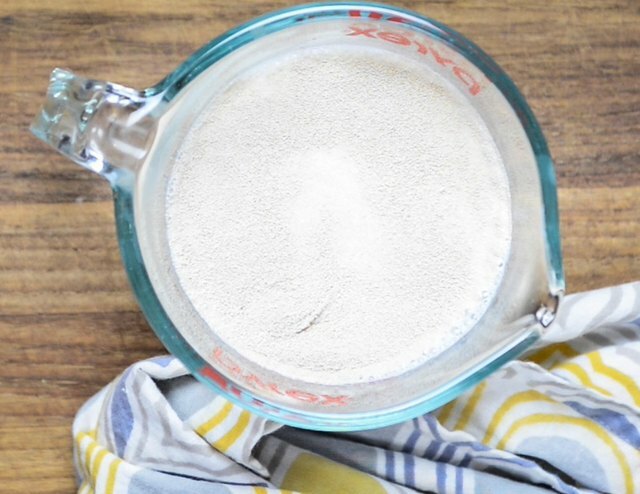 Sprinkle the milk with the yeast, allow to get foamy for about 5 minutes. 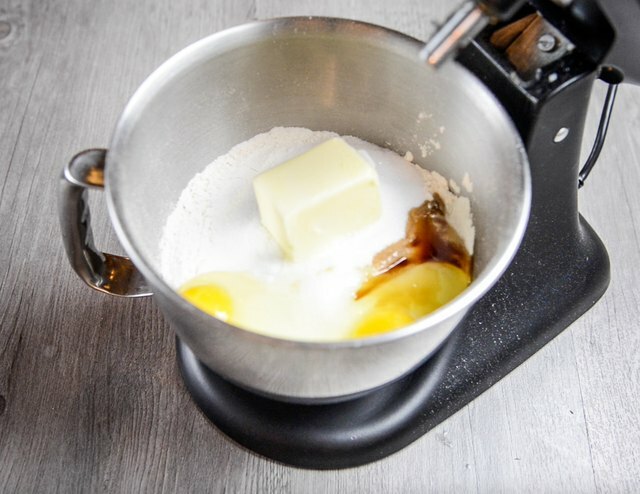 In a stand mixer add the flour, sugar, butter, eggs, salt, vanilla and proofed yeast with the milk. 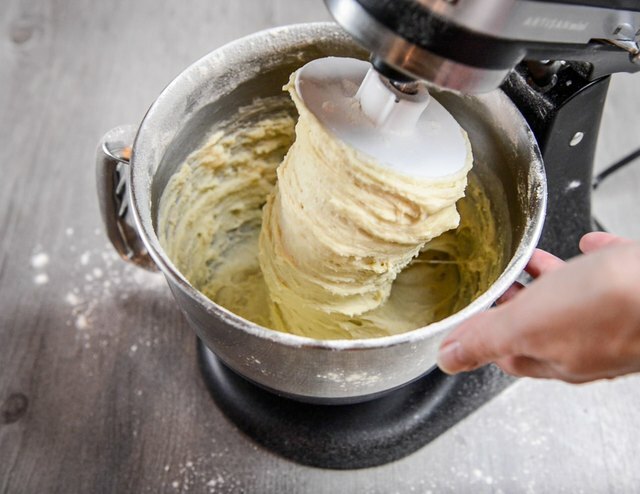 Add a dough hook to the stand mixer. Mix on high until the dough comes together and gathers around the blade. Add the dough to a large bowl that has been oiled or sprayed with cooking spray. Cover and allow to rise until doubled in size, about 1 hour (may take longer in a colder room). 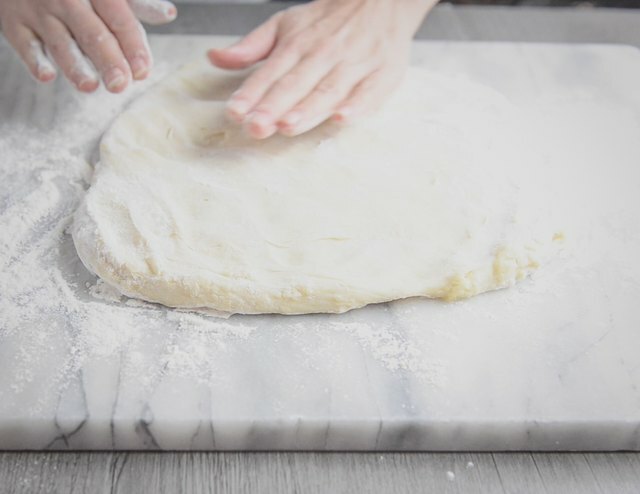 Add the dough to a well floured surface. Roll into a large rectangle. In a bowl combine the filling ingredients. Mix until it forms a paste. This will help the filling to stay in the rolls without spilling out while the dough is being cut. 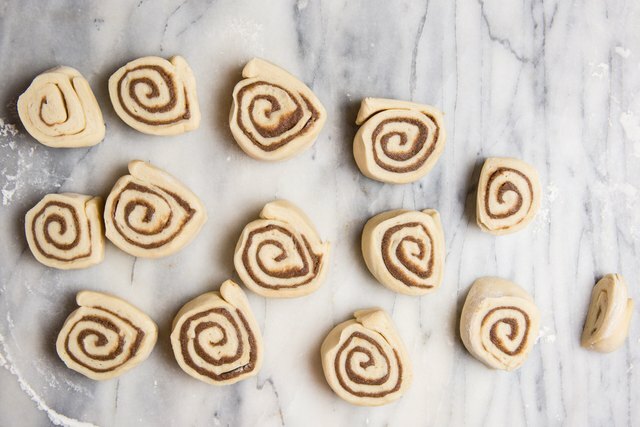 This will give you a large ribbon of cinnamon sugar in the center of your rolls. 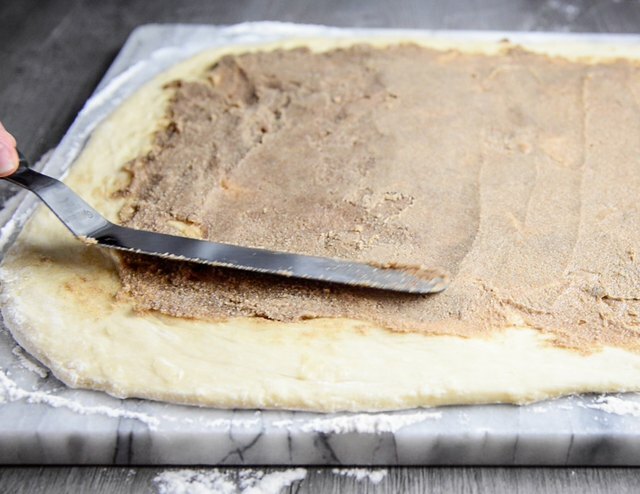 Spread the filling on the dough in an even layer. This is much easier when the filling is very soft (but not melted). Starting at the long edge, roll tightly into a long log. Cut into 1 to 2 inch rings with a very sharp knife. Add the rings, swirl side up, to a pan. Allow to rise until doubled in size. Want to make these the day before? Just allow the second rise to take place slowly in a cold fridge. Once you put the rolls into a pan, cover and chill in the fridge for up to 18 hours. Take out of the fridge and allow to come to room temp before baking. Bake at 350° F for 25 minutes or until the tops are just starting to brown. 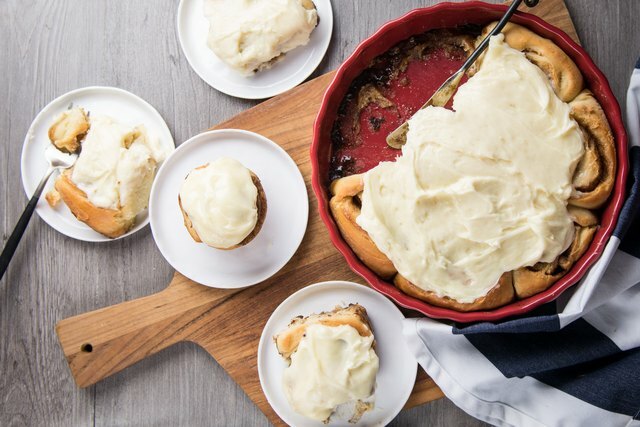 Do not over-bake; slightly under-baked will give the gooey texture that you want. Add the softened butter and cream cheese to a mixing bowl. Beat on high with a hand mixer until well combined. Add the powdered sugar and vanilla, beating until well combined. Spread onto the warm rolls. Serve warm. 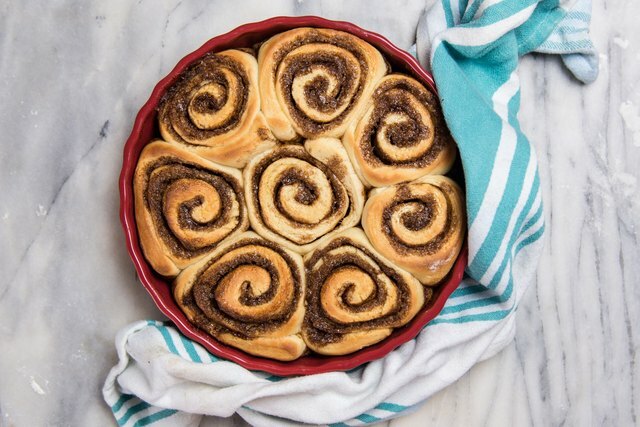 Cinnamon rolls don't keep well and are best eaten the day they are baked. Want them to have a perfectly round shape? Instead of a pan, put the rolls into the wells of a large muffin tin.